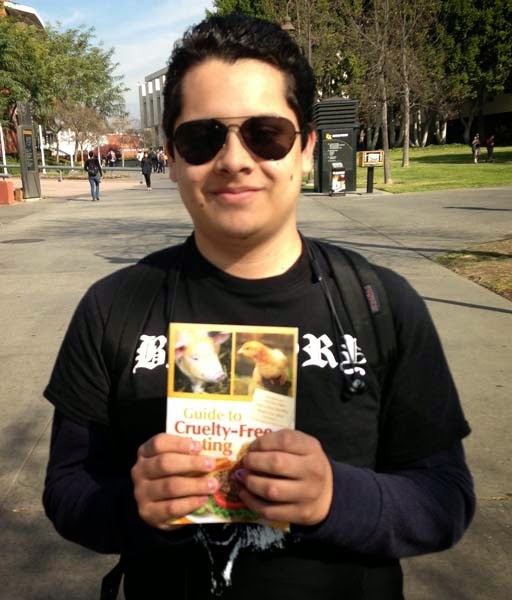 The Vegan Outreach Blog: More Vic! 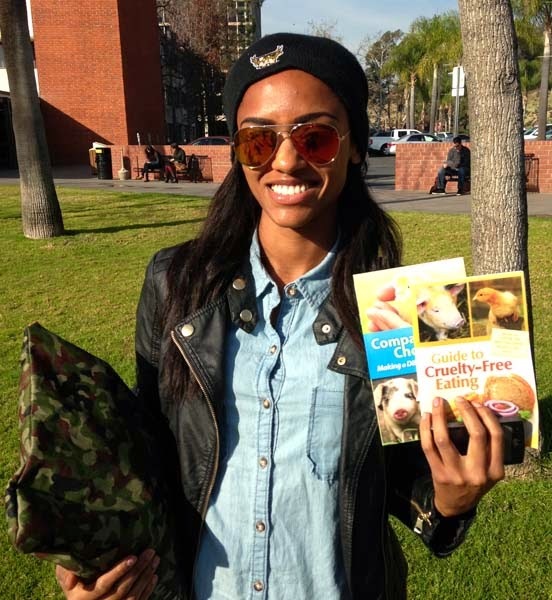 Larissa has been veg ever since getting a VO booklet previously! 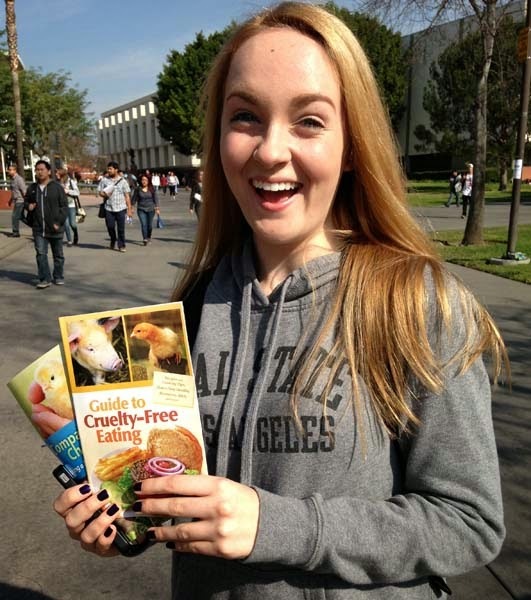 Lindsay, now going veg at Cal State LA! now is an aspiring veg! 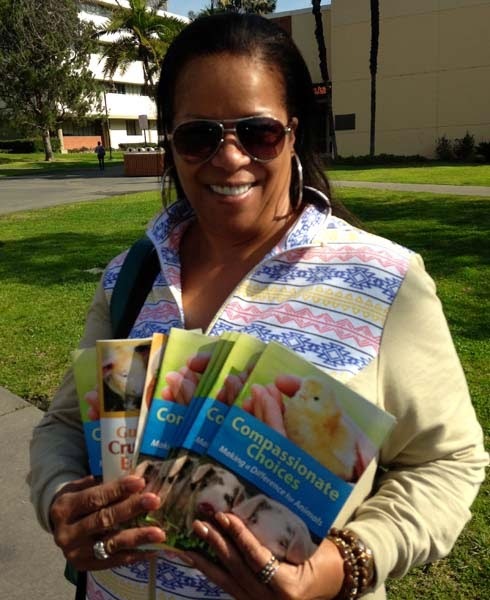 Had a long conversation with Yolanda, who took more booklets for friends. 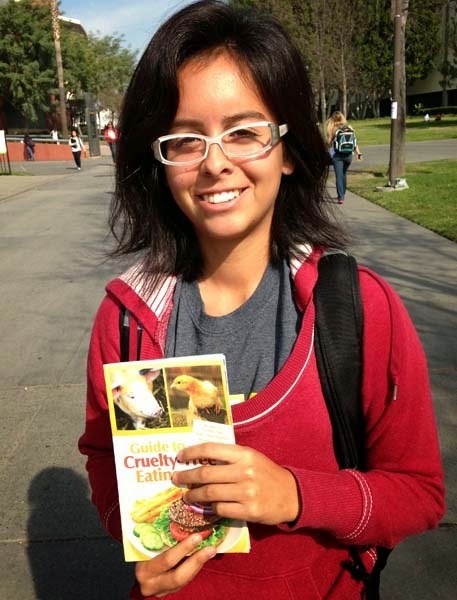 Nutrition major now very interested in veg! 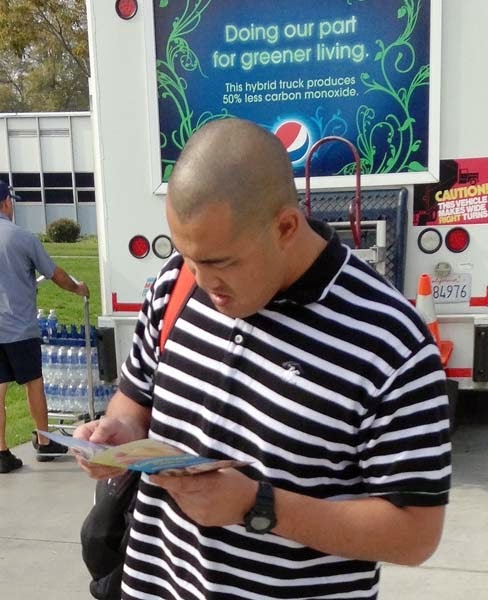 Love the sign in the background.